Happy hump day ladies! I'm nearing the end of semester 1 of my nail tech course so I finally have a bit of time to catch up on things and one of those things is my poor neglected blog!! I feel so bad but life always seems to get in the way and I'm working on something special with my business which is taking up so much time! 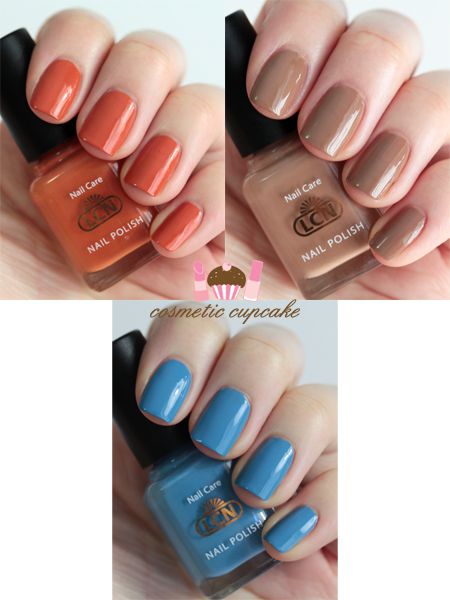 Today I have a few quick swatches of 3 LCN shades to share. I'm determined to stop always going for the same shades these days so when LCN Australia asked if I'd like to choose 2 polishes to try from their range I stayed away from the usual pinks and purples that I gravitate towards and went for shades I don't normally reach for. fiery cumin* is a deep carrot orange creme. That's my best description of the shade haha! It is definitely unique in my stash and my favourite of the 3 I have to show you. 2 coats is pictured. 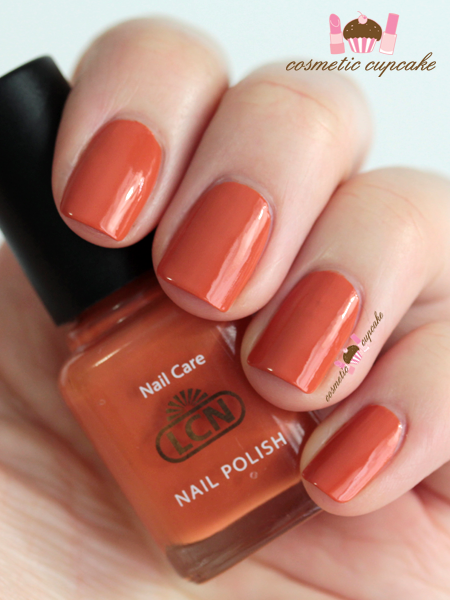 summer in the city* is a dark camel creme and it's a great safe for work polish. It's not a ground breaking shade but one that's lacking in my stash! 2 coats is pictured. I purchased light denim last year at Spa & Beauty expo and I never got around to trying it oops so I thought it was about time I tried it out! It's an azure blue creme and isn't it gorgeous?!! It's the perfect sky blue and I'm itching to do a cloud mani with it. 2 coats is pictured. Overall: I am loving these LCN shades and I'm definitely going to be adding more to my stash! The formula was fantastic and consistent for all 3 shades. They're super opaque, self leveling and you can get away with 1 coat but I did 2 coats out of habit. The bottles are on the small size though with only 8mls of product which is about half the size of most polishes but the brush is easy to use and I only had minimal clean up. 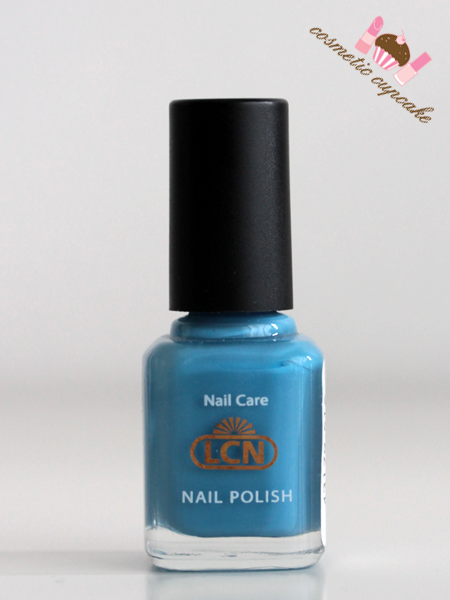 Details: LCN polishes are available from the LCN Australia online store for $4.95. Their site is down at the moment but you can catch them on Facebook too!